It's off to the bead fair we go! 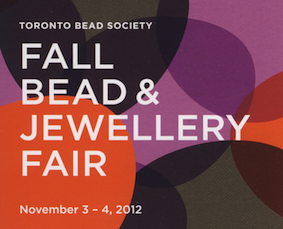 The Toronto Bead Society Show that is! There are no classes this week, as we're in our usual mad scramble to get all (or some) of our goodies packed up for the show. And we have some wonderful surprises in store for you at the fair. Be sure to print out the coupon on the Bead Society site for a $2.00 off admission coupon. Directions-hours-location can all be found at the above link. We hope to see you there! Holy Seedbeads Batman! Yup, these were brought in especially for the show. Over 500 colours of delicas in small 3gm vials. These are perfect for those of you that just need a small quantity for a project - or those of you with a severe case of collectemallitis! We have them specially show priced to move! You can afford to get them all! ;-) Once these are gone - they`re gone!! Sigh. It's so sad when we have to discontinue something. I'm always hearing from Rosemary that we should "discontinue such and such to make room for something else." Or "that was a trend, and we should move on." But I don't want to move on - I have room in my heart for every single bead. If it were up to me - we'd stock every single bead, forever. Like a "bead sanctuary." Or maybe a "bead rescue." You can come and adopt some beads, but if not, they have a home with us. But in this case, it has more do with our source drying up than any mundane reasons like space. In this case, our supplier for the Cubic Zirconia beads has bailed, and it's not looking like there is a replacement in the wings. So - if you want Cubic Zirconia beads, because you love them, or because you love making the Marcia De Costa patterns that use them - better stock up now, as we have no idea if we will be able to get anymore. News Flash. We put these on sale early! You can get them now at 30% off! Guess I should stash some away for myself too. Oh, and Rosemary says, "Put them on sale. 30% off." So it really is a good time to sock them away for a rainy day - when you can take them out and be cheered up by their shiny, lustery goodness. So that will happen on Wednesday night, at midnight. First come, first served. But don't tell her I told you in advance. For the lampworkers and metal clay artists reading this, don't worry - the CZs for embedding in lampwork and/or metal clay will not be going away. Carol a student from a recent class emailed me a question regarding my recommendations on the basic tools. For the frugal minded metal clay beginner I am a believer of starting simple. It is easy to get swept up but the excitement of starting something new but remember you need some money to pay for your clay. A surface to work on: I use plastic cutting boards from the dollar store. A roller: Buy an acrylic roller. A dowel can work but will leave impressions on your clay, you can cut PVC piping but the effort and cost is not worth it, unless you are making a bunch for a class or to share among friends. Cutting tool: A craft knife is quite a handy tool. Make sure your blade is sharp. Dull blade makes for lousy cutting. I also like a fine pin tool. A good one can cost a lot so you may want to wait on that purchase until you know this something you love. I have tried to make one using a sewing needle but find the needle is not sturdy enough. Non stick solution: I use olive oil. There are fancy products out there that work great but olive oil is cheap and easy. Some students I know purchase it in an aerosol can so that they get a thin layer on the texture sheets. Personally, I put mine in a jar and dunk an old toothbrush in and use the toothbrush to paint a layer of oil on the surfaces I need. Paint brush. Used to pain on thin layers of clay, to make repairs, to smooth surfaces. Don't go too cheap on this as you don't want the paintbrush hairs to fall out in your work. Toothpicks: These are great to smooth edges, make starter holes in metal clay and if you are careful enlarge small holes in dry clay. Makeup brush: Cheap ones aren't as good and tend to fall apart. I splurge and buy the $4 pack instead of the dollar store ones... but these do work as well. Slats: I am not sure the right word for this but this is the tool that helps you roll you pieces out evenly. You can use playing cards if you are on a budget. Generally one playing card is .25 mm thick. Straws: These are used to make holes, can be used to shape items like bails. I have used them to shape petals too. Sandpaper: I encourage my students to keep sanding to a minimum. That being said I find that 400 grit sandpaper the handiest. The higher the number the finer the grit. Again cheap sandpaper is not a good idea, you will find that the sand comes off into your clay dust (which you usually can reuse). If you want to hand finish your pieces to a mirror finish you need sandpaper (actually called emery paper in the jewellery world) up to at least 2000 grit. Burnisher: I love my agate burnisher. But if you want a cheap option the back of a stainless steel spoon works in a pinch. I also like using my ball stylist. Clay storage: You can often use the bag your clay comes in. Heavy-duty well-sealed bags will work. I use containers called Buddy Cups. They are inexpensive and they seal well. I have found that many of the dollar store containers don't seal as well. I have purchased some little ones to use as paste pots for a class and the paste dried out. Cookie cutters: Depending on your style you may or may not use cookie cutters. Most will find that circular cookie cutters are essential. The great thing about cookie cutters is that you get a quick and easy cut. Stencils: This is another option for shaping your designs there are a lot out there. I would say that the two I use the most are my circles and my hearts. Textures: Control yourself if you can, these can get additive. Remember there are a lot of amazing texture around your home and in nature. Have you ever looked at a savoy cabbage leaf. It is awesome! Ball Stylist: This is a tool with little ball on the end. I love mine it makes neat little dents in wet clay and can act as a burnisher. Non stick paper: Often people find that they want a separate surface to work on their piece so that it doesn't stick and easy to transport. You can purchase Teflon paper for this purpose. An cheap alternative is wax paper. Thick plastic: Like a report cover, or a split heavy duty bag. This helps if you need to rehydrate clay but rolling and adding water. It also helps when you mix some of the powder clays and keeps everything from sticking to your roller and hands as you work the water in. These are the main items. There are tons of other things you might want or even need. But above are the basic and items I use all the time. I have found that these are the things I go back to. I must admit my first expensive tool I bought was a tumbler as I hated polishing things by hand and it is hard to get the crevices from texture if you are just using hand tools. The Business Chat - Shout it Out Loud!!! Yes, I admit it, this is a repeat from last year. Because I'm busy packing up to go to a show and you know what? You can never shout it out loud enough or enough times. Most of us are businesses of one person. If you don't shout out your message who will? In our holiday preparations so far we have worked out our inventory list, spiffied up our booth display, gone over our online shop and ordered our holiday packaging. Now it’s time to let the world know that the holiday shopping season is here and that you are ready! It’s time to market and advertise your work. Here at the Business Chat, we’re fond of wearing hats. Today we’ll put on 3 hats. First there’s our Marketing Hat, second our Advertising Hat, third our Sales Hat. Marketing is what you do to get a customer to knock on your door. It informs a customer of who you are and what your product is. Advertising is the method you use to publicly acquaint your customers with your product in order to get them to buy what your business is offering. Sales are when you knock on a customer’s door. Once you have your message it’s time to switch hats. Advertising takes the marketing message and gets it out to the public. You can pay for ads in places like blogs or facebook or you can use social media. Me, I’m not paying for ads. A total old-school but very effective way to advertise your work is to wear it. NEVER leave the house without wearing jewelry (and do NOT wear any jewelry other than your own) and carrying your business card. A good idea is to carry a small flier with your show list on it. When the cashier at the supermarket comments on how nice your necklace is, hand her a business card and a flier. Seriously. Do it. It works. Of course you should always advertise to your own mailing list. People on your mailing list are already committed fans, by letting them know about holiday shows or special items in your online store you will make sales. They like you. They want to buy. Send them directions on how to buy in your newsletter (and newsletter part 2 here). For those without a mailing list and a newsletter rush immediately to your To Do list and write “create a newsletter” and “start a mailing list” on it. For those without a facebook business page or a blog rush immediately to your To Do list and write “create a facebook business page” and “start a blog” on it. These are important business tools for success. If you haven’t time to do it properly right now, put these tasks on your 2013 list and start researching how to do them now. Once you have done your job wearing your Advertising hat, it’s time to put on your Sales hat. You already know how fabulous your work is and why. When the customer is standing in your booth, or sending you’re a question online, tell them all about the jewelry. Tell them why it makes such a great gift. Tell them how you made it. Sell them the work. You already know the story, simply share it. And make that sale. As promised - New Swarovski colours! Last week was all about the shapes - new Swarovski shapes. This week - we're all about the new colours! The two new colours are, well - actually one is a colour and one is an "effect." "Effects" are coatings, like the "Aurora Borealis" or AB coating that is so near and dear to the hearts of many of us. Swarovski is a huge innovator in creating new colour effects - and this season's effect is Crystal Blue Shade. This a subtle smokey blue with a hint of bronze in the highlights. . The new colour - the colour that is a colour and not an effect - is Light Turquoise. Now, this might be a little confusing, as Swarovski already has a colour called Turquoise, but it is an opaque Turquoise - you know, like the stone. They also have a pearl colour called Turquoise, which we will have for you shortly - that goes with the gem pearls. However, this particular Light Turquoise is a transparent colour. It is darker than Aqua, and a little greener too - being more of a Blue Zircon type of colour. Any way you slice it, it's a super pretty colour. A rose by any other name, and all that. 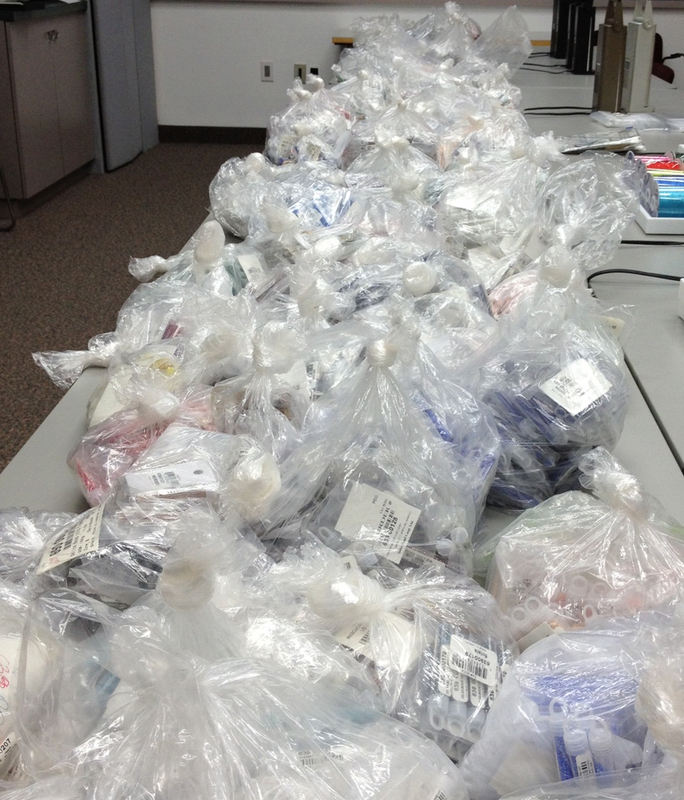 Of course, this stuff never all arrives at once in one big, tidy, organized bundle. Noooo - that would be too easy. So we will continue to fill in over the next few weeks as we try and play catch up! So, more of the Victory pendants this week. If you are looking for a few new embossing patterns for your Big Kick, or similar device, we have a new of both DecoEmboss and DecoEtch in. And some more rivets too, in case you are doing the cold connection thing. Sterling rivets too, just in case. And, if you love rings - we have new rings! I love rings because you get to look at them all the time when you are wearing them, like bracelets. You can't admire your earrings once you have them on, and same for necklaces - unless you spend all your time trying to catch glimpses of yourself in reflective surfaces. I imagine the same holds true for tiaras, but having never worn one ... . :-( Anyway - rings are cool cause you can enjoy them anytime, so make rings that make you happy, and wear them all the time! Because that's what this all about, right? More happy. And chain. Heavy Rolo chain. Rolo chain is round links made with half round wire. These just beg to be layered up for a multiple necklace look. Did you know that it is currently trendy to wear multiple necklaces? Who would have thunk it? We're just obviously way ahead of our time! Have we ever got a full lineup this week! Certainly something for just about everyone - and of course when you take a class, you also get a discount on store items on the day of the class! Discover Lampworking - 2 hours of molten fun with Becky Greenall - Wednesday, October 24th - 6:30 to 8:30 PM. 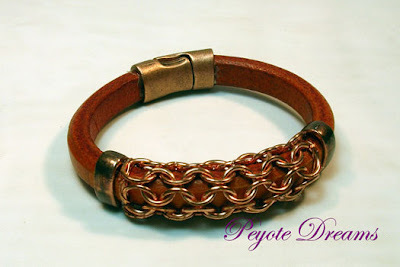 Learn an Open-weave chainmaille that you can use to accent Regaliz Licorice leather and make a beautiful bracelet. Students will use merino wool roving to design and wet-felt a wool cane which can then be cut into sections to be used as jewellery components. Students will be encouraged to explore colour and texture as they work with the wool fibres. Some basic stringing and bead stitching will also be covered so that students may string and embellish their jewellery pieces. Wet-felting is a very physical process so students should be prepared to use their arms and hands to roll and manipulate the felt in process. This workshop is suitable for both the beginner and experienced fibre artist. Overview of wool characteristics, the felting process, and material used. Colour combining and choosing of materials. Handling and laying of wool. Wet-felting-the process, tips and tricks. Basic bead stringing, stitching and embellishment of final pieces. Show, share and critique. Focus Technique: Wet-felting, Stringing and bead stitching as embellishment. This course will introduce you to the traditional art of Chinese knotting. 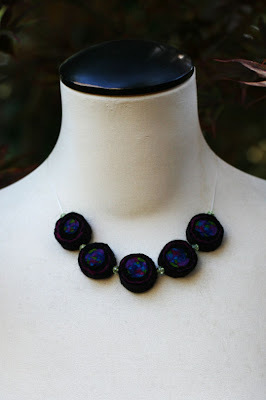 Learn to tie two types of button knots and how to incorporate them into your jewelry designs. These two knots can be tied alone or in multiples to make a unique necklace cord or tied between beads to add texture to a design. The class project will be a pair of knotted earrings with choice of beads and cord colour. Overview of the equipment and tools, basic safety information. Setting up a home studio is also discussed. Students usually make about 6 -12 beads, depending on their aptitude. 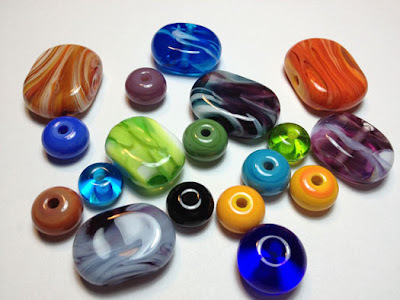 The beads you make in class will be kiln-annealed and will be available for pick-up the following day. If you are from out of town, we are happy to mail them to you at no extra charge. Technique: How to make a basic round bead, dot beads, bumpy beads, stringers, shaped beads, encasing, florals, and other techniques as time permits, and depending on aptitude. 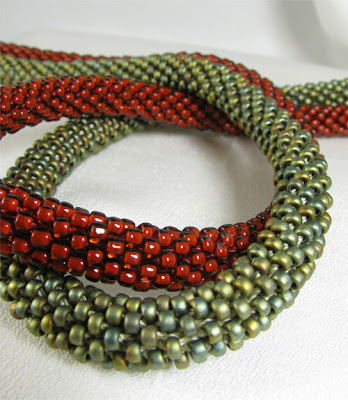 In this class, students will begin by learning basic bead crochet techniques on large beads and then move onto size 8 seed beads to begin creating a solid or patterned necklace. Amy will help you design and start your necklace. Students can either bring their own beads from home, or purchase them on the day of the class at beadFX. Students receive a 15% discount on the day of the class. Unique lampwork beads created by Amy will be available to students at a discounted rate if they wish to purchase a focal bead for their necklace. Please note: This is not a class for knitters looking to add beads to their repertoire. This class involves working strictly with beads. A couple of weeks ago - I went to the Swarovski Fall product launch at one of our major suppliers. As usual, we got a lovely little box with a few samples of the fall line-up. Most of this is now sitting on my desk, with me scrambling to process it, shoot it, and get it into the database(s) - so you can take it home and fondle it. I thought I'd just take a few minutes to give you a sneak preview of what will be coming at you in the next few weeks! More in the "Euro" beads - Pandora/Biagi/Troll-style beads. Swarovski calls these "Becharmed" and is adding pearls, and the rhinestone encrusted rondelles to the line up. The insert for the hole is made with stainless steel, and will now be stamped with the Swarovski name. This is the star rivet. This is for embellishing fabric, as is the other rivets. Would look pretty hot on a denim jacket! On the left is the Victory Pendant, (also rolled out on our site last week) - and the "Pure Baquette Fancy Stone." This is a rectangular faceted stone, not a bead. These are representative of the "Pure Leaf" family - the pendant and the sew-on stone. And this is the new colour, Light Turquoise. This is a deep, darker colour than the Aqua we are all used to, and a little greener. Closer, actually, to Blue Zircon. It is an absolute b1tch to photograph. Here you see the Light Turquoise with the Caribbean Blue Opal on the left, and some Aqua beads to the left and behind the Light Turquoise oval in the centre. Just between you, me and the gatepost - I think that calling this new colour "Light Turquoise" is going to be confusing. For one thing - they already have a colour called "Turquoise" - see the bicones on the left, and it is an opaque. I have a hard time getting my head around called a transparent colour "Turquoise." And to have Turquoise as an opaque and Light Turquoise as a transparent ... well - it's all going to confuse the heck out of people. I can just see us getting phone calls asking for a "light turquoise" - and now not know if they mean generically, a light shade of turquoise, or the specific "Swarovski Light (Transparent) Turquoise as introduced in 2012." Not that they asked me. This is the new coating effect: Crystal Blue Shade. It is a subtle blue, and tends to vary a lot depending on the lighting, from a nice blue (like a lighter version of Indian Sapphire) to a steely grey. This one too is a b1tch to photo properly. This is the new Swarovski pearl colour for the season - it's ... Grey. Crystal Grey Pearl. I suspect the intention was to fall between the Light Grey Pearl and the Dark Grey Pearl. Now THESE I can get excited about - these are new flat tablets - in smaller sizes. These are the Mini-Oval, the Mini-Round, and the Mini-Square. I definitely can't wait to try these out! We rolled some of these out last week too, and more to come. These are new cabochon colors - a super shiny silver one (look - you can see a reflection of the photographer!) and Golden Shadow. Here, compare with the blue Swarovski on the left, and the newer, more intricately cut stone. What these means is that Swarovski stones will be even more fiery and dazzling than before - and that is a GOOD THING. It will also make it easier to spot fakes and "Knockoff-skis." Also, domed top, pointed back "Cabochon Chatons" - including some with a matte finish! Yum. And the Crystal Rocks transfers - which we have already seen a few weeks ago, paired with the Instant Glam by Fernando. Probably the most interesting thing that they rolled out is not what they are selling this season - but what they are NOT selling. Swarovski has re-formulated their crystal to completely remove any lead from the formula. Traditionally - lead has been added to crystal to make it more brilliant, clearer, shinier and sparklier. In addition to the esthetics, lead also makes the glass easier to work and more forgiving. In fact, lead glass is a delight to work (speaking as a flameworker now!) - so the decision to forgo the lead in the glass was certainly not taken lightly. It has also meant that they have had to sink considerable time and energy into inventing an entirely new formula of glass. But, their feeling was, even though existing levels were low, they they would rather remove it entirely than continue using it in the future. Between the new crystal formula - "Advanced Crystal" - and the new Xirius cut - Swarovski is, in it's own words, "taking crystal one step closer to the diamond." 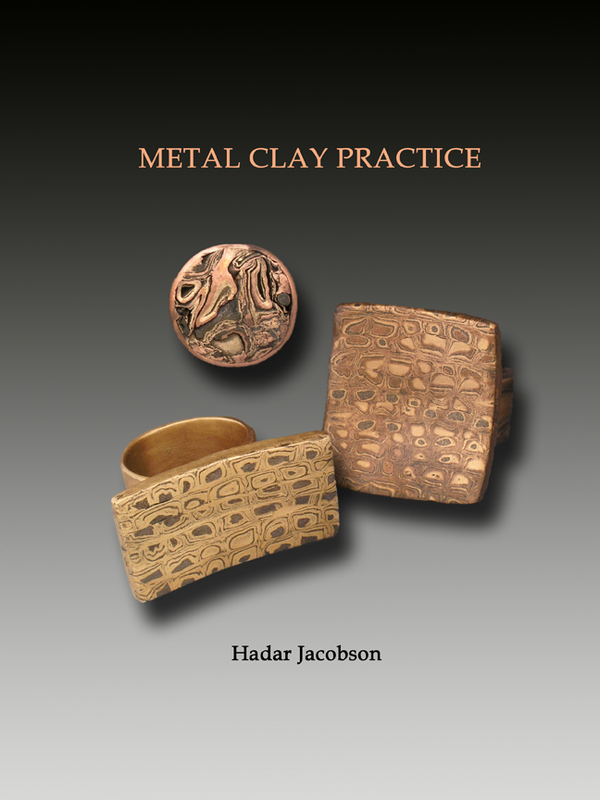 The Joy of Metal Clay: Hadar has a new book! OK, I haven't got my hands on this yet but let me spread the word. Hadar Jacobson, a fabulous instructor, creator, and inventor in metal clay, has a new book out. I think she can be called a true metal clay guru with all she that has done. The new book is called "Metal Clay Practice". You can see a few more pictures from the book on Ms. Jacobson's blog. As I mentioned I haven't gotten my hands on this book but here is a link to the table of contents. What intrigues me the most are the ring projects and the Ring Shrinkage Chart. This book is so new I really haven't heard much from anyone who has the book. If you have it let us know what you think. Experience predicts that this book will be FABULOUS. All of her books have beene great ! 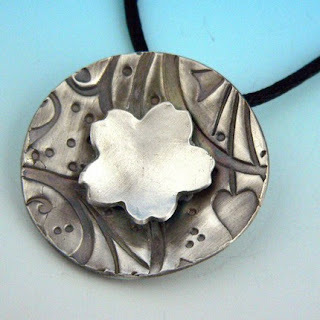 Also, it is my experience that her blog , website and having a chance to take a class from her are all great ways to learn more about metal clay. You know what’s really nice first thing in the morning? A nice cup of tea while checking email, and seeing money rolling in! Now that makes a day start off on the right foot. Craft shows are great but if you aren’t standing there working, then you aren’t making money. This is where your online store comes in. Your store, be it your own website, or a marketplace like Etsy.com, works for you 24 hours a day 7 days a week. Now is the time to spiffy up your online site before the crazy shopping begins. People are looking, and bookmarking, but many won’t purchase until the holidays get closer. It’s time to go over your site and make it as inviting and easy to use as possible. Here are 11 steps to help you build up your online business for the holidays. Check the useability of your shop. A really good exercise is to ask someone who’s not very computer literate to try and buy something from your shop. Ask them to document problems they have. If someone can’t figure out how to use your Buy Now buttons then they can’t buy your work. Let the customer know about shipping deadlines. This is critical for the holiday season! Have the cut off date for shipping on the front page, especially as that date gets closer. The post office gets slower as they get busier so err on the side of caution. Make sure you list deadlines for both local and international. Post your shipping information somewhere accessible. Make sure you list your shipping options and give them a choice. Last minute shoppers are usually willing to pay extra for express shipping as long as they know how much it will cost. Have a picture of your shipping packaging. Do you gift wrap? (an excellent option to offer at Christmas). Let them know. If you don’t have a picture of your packaging, describe it well. Take a good look at your shop policies. If they aren’t clear now is the time to rewrite them. Can they be easily found? Make a list of the new work you have for the season and make a schedule for putting this online. Each piece needs photos and a description. Put this on a calendar and get the work online. Listing a piece on December 10 is too late, people are actively looking now even though they may not click that Buy Now button until late November. Speaking of photos, how do yours look? Photos can always be improved, if you have some time, try shooting different angles or putting them on a different background. If you are making wearables it’s always a good idea to have one photo of the item on a model. Round up a good-looking friend and see if they’ll model for you. While you’re looking at improving your photos, read through your product descriptions. Are they all that they could be? A good description provides all the necessary materials, dimension and size information. A good description includes an interesting story or quirky detail. It’s always good to suggest who this item would make a great gift for. Communicate your payment methods. They like it, is it clear to them how they can give you money? Your website is always a work in progress, one thing that keeps people coming back is having new work or information there every time they stop by and visit. Rather than updating everything all at once, my goal is to update my website in at least a small way every single week between now and Christmas. It’s easier on my workload and it keeps my website nice and fresh. A weekly web workout. The Key to it ALL! We have the key - the key to it all! All What? But what is "all" - all that you desire? All that you wish for? Wealth? Knowledge? Happiness? Health? The Key is a powerful symbol, but unlike most symbols - it's meaning is personal. A horseshoe is a horseshoe, it stands for luck, so does a 4-leaf clover. A heart is a heart - it means love, of some sort: family, lover, friend, dessert. (I heart chocolate.) With Halloween around the corner - there are symbols everywhere - cats and witches and monsters, oh my. But a key is a multifaceted symbol, deeply personal, yet somehow, still universal. It unlocks secrets, or keeps them locked away. It opens doors, or keeps them safely locked. Alice's deepest desire was to get the glass key and fit through the door into the garden. A key is understanding, or security. A promise, or an achievement. What does your key symbolize? Graduation? Achievement? True Love? Understanding? Rite of Passage? The key to your life, your heart, your happiness, your success? Multi-faceted, like the symbol itself - this is a truly stunning tour-de-force of the crystal-maker's art. With it's smooth shank, faceted bow (the handle part) and faceted and signed blade (or "bit") - it leaves you pondering - how, HOW did they make this? The blade is laser-etched with Yoko Ono's signature. We have them in a variety of colors and sizes, and also without the signature, in case celebrity signatures are not your "thang." As fascinating as this new shape is - it is not the only new and wonderful thing from Swarovski that we have for you this week. We are also delighted with a whole new line of Mini-Rounds and Mini-Squares. These are both faceted tablets - one being a flat round, and the other being - SURPRISE! - a flat square. Think of how great these are going to be in your creations! Flat beads will give you more bang for your buck - being lighter but still appear larger. Like a lite beer - tastes great and less filling. Well - way better than a lite beer - which never seemed to live up to either promise. I don't think I need to say too much about these - I'm sure your are already seeing the possibilities! We are rolling them out this week in the "exotic" effects - and the colours are coming in the next week or two. And - at the other end of the spectrum - we have some new Pendants - very "un-mini." Honkin' actually, would be the term. These are the Victory Pendants - which sort of have a V in the facets - but definitely have a very victorious vibe to them. Michael David Sturlin - Next Week! !